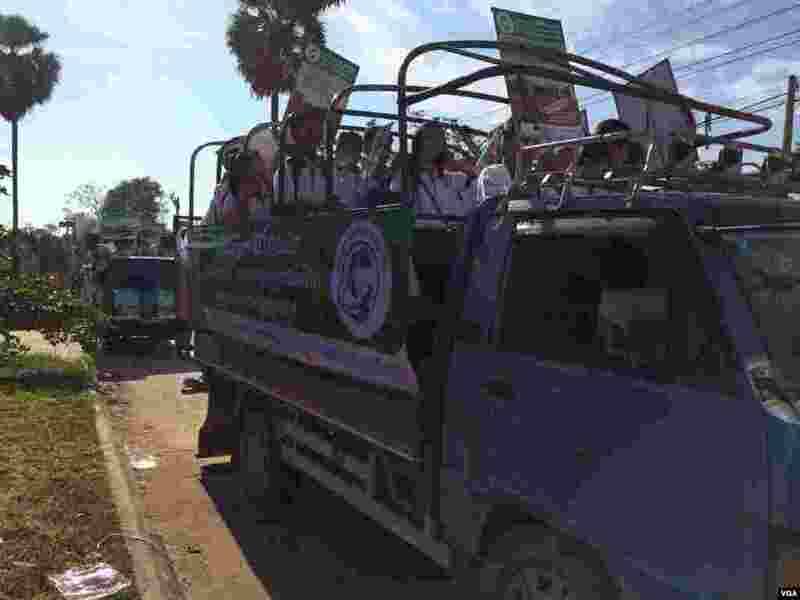 1 Cambodian students traveling on trucks are ready to campaign for better healthcare for children and newborns in Kampong Speu province. 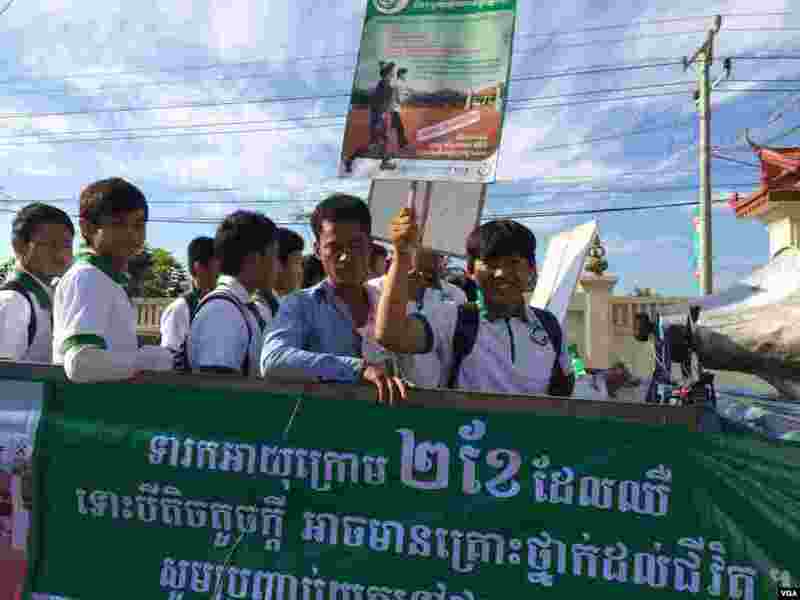 2 Health officials gathered in Kampong Speu province to educate Cambodians on how to fight child mortality. 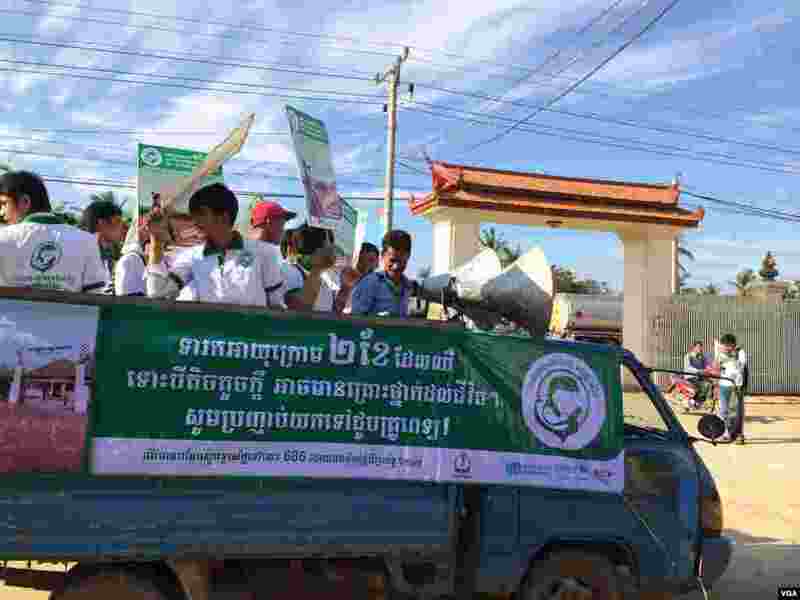 3 Cambodian students are on their way to support the national launch for communication campaign to promote better healthcare for children, in Kampong Speu province. 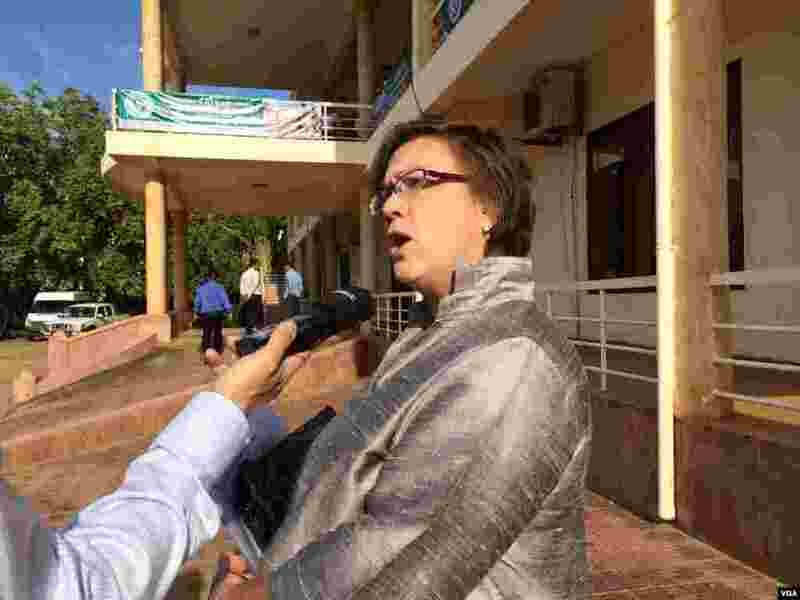 4 Rana Flowers, a representative of Unicef in Cambodia, talks to VOA Khmer about child mortality in front of a health department in Kampong Speu province. 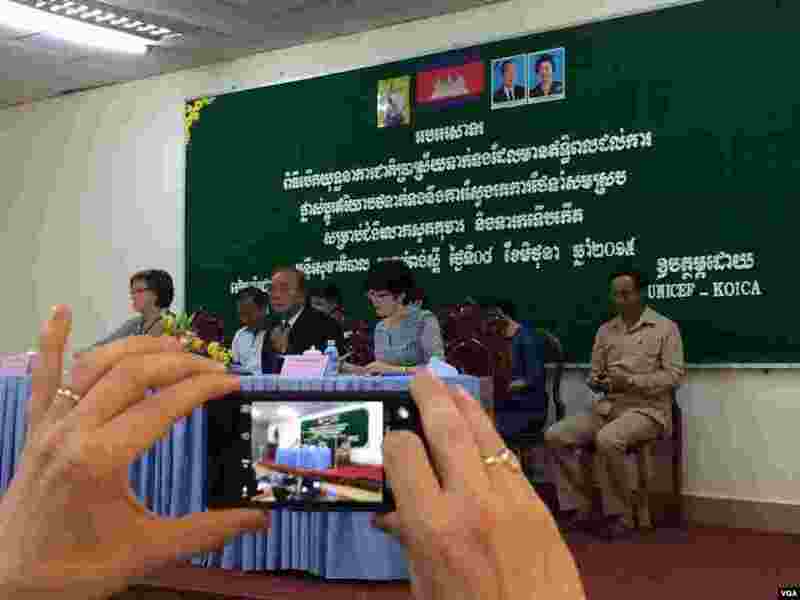 5 Unicef and the Cambodian government have launched a campaign to promote better health for children and newborns.